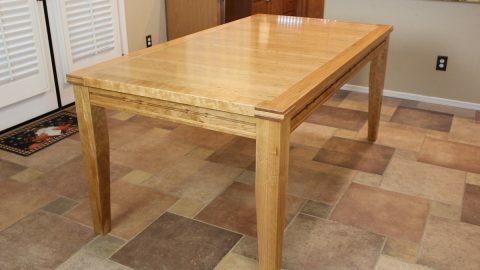 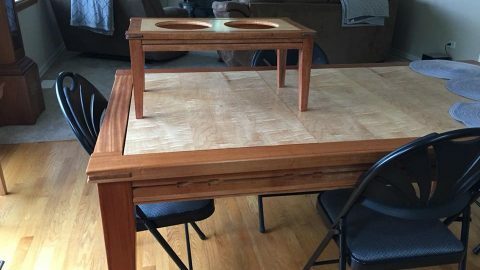 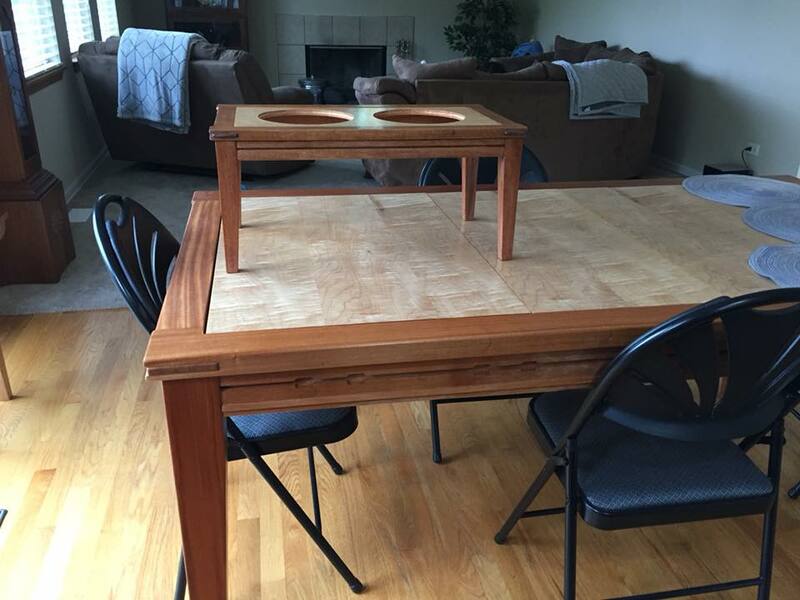 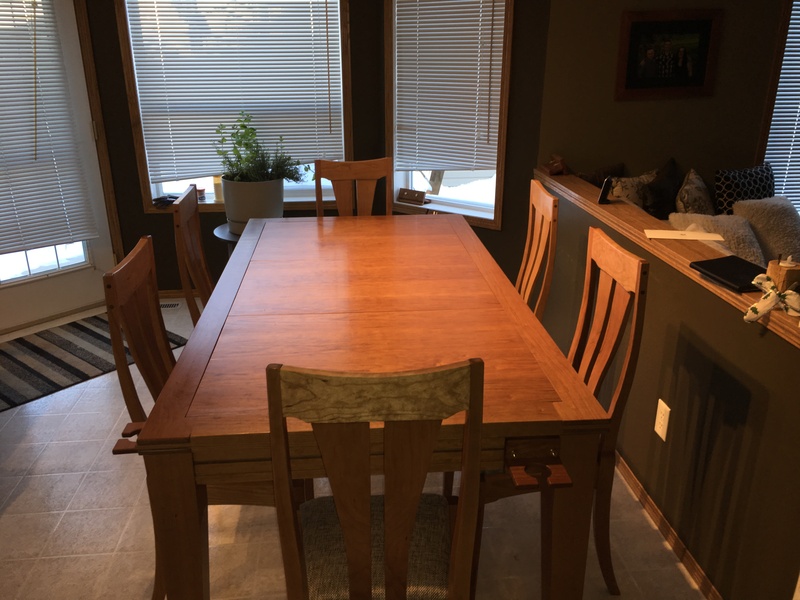 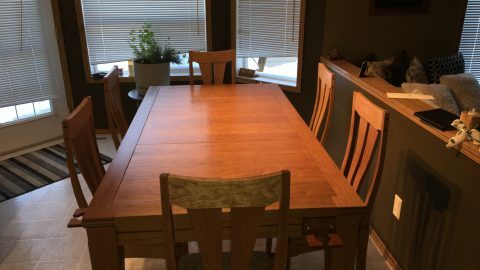 An elegant dining room table that contains storage as well as various inserts for gaming, playing cards, puzzles, or family projects. The table will also feature some clever add-ons like cup holders and tablet supports. 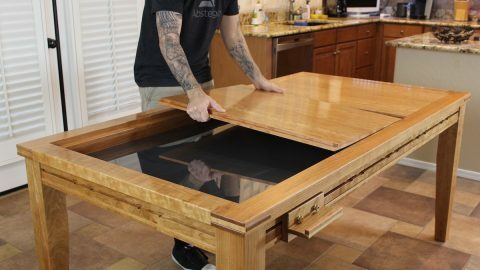 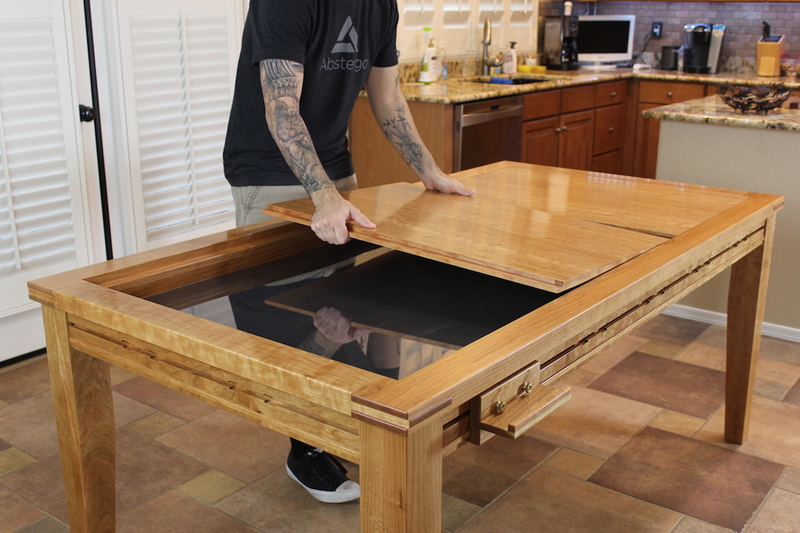 Even if you’re not into gaming, the table design will look good in anyone’s kitchen or dining room! 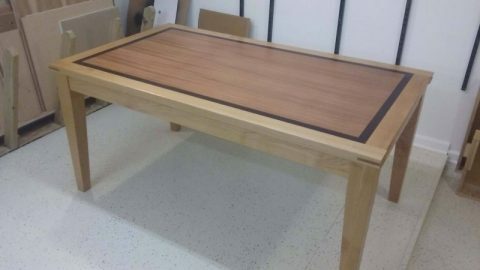 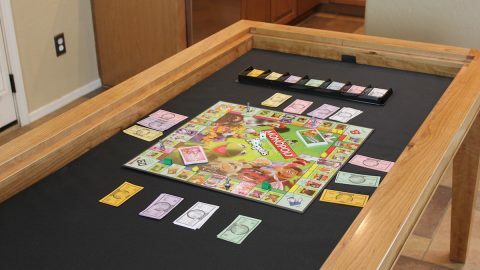 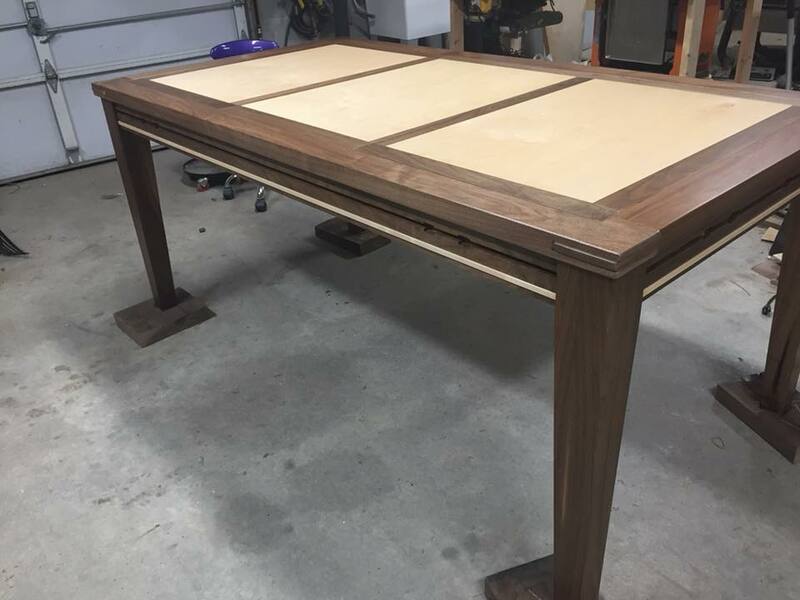 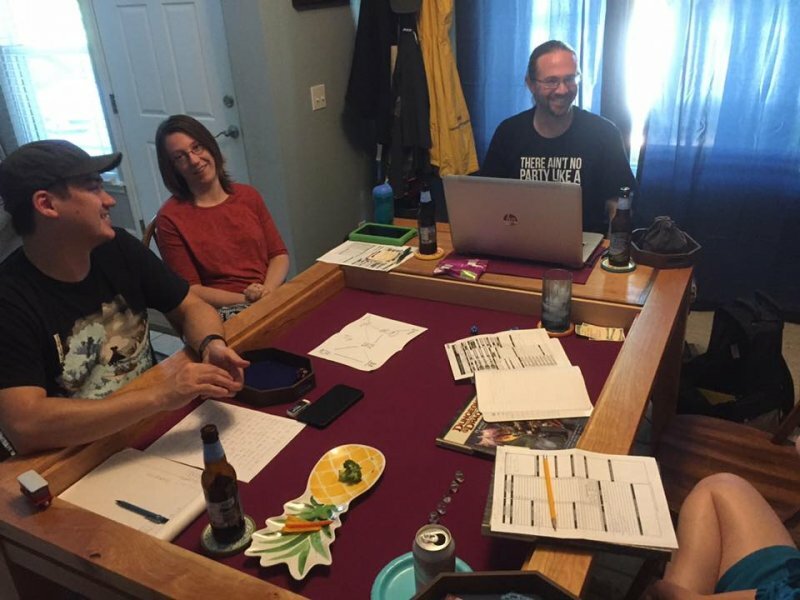 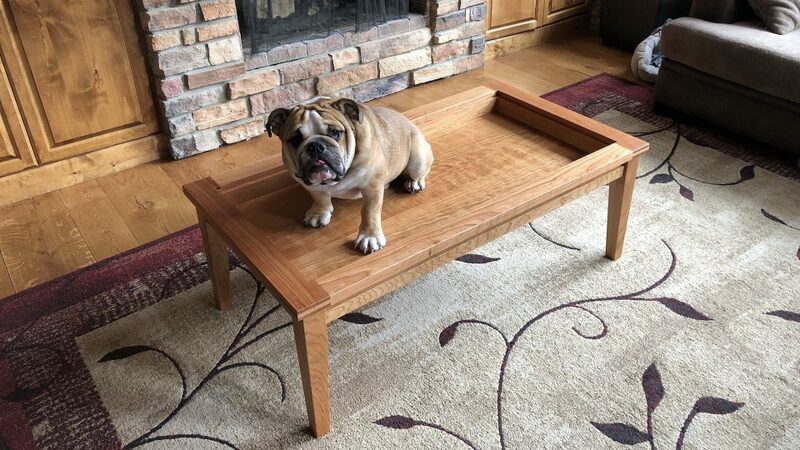 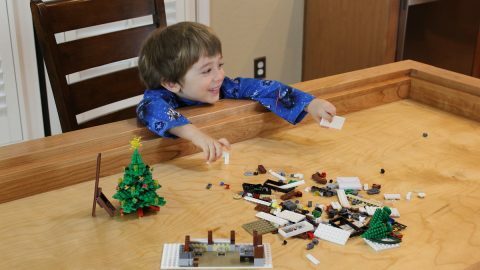 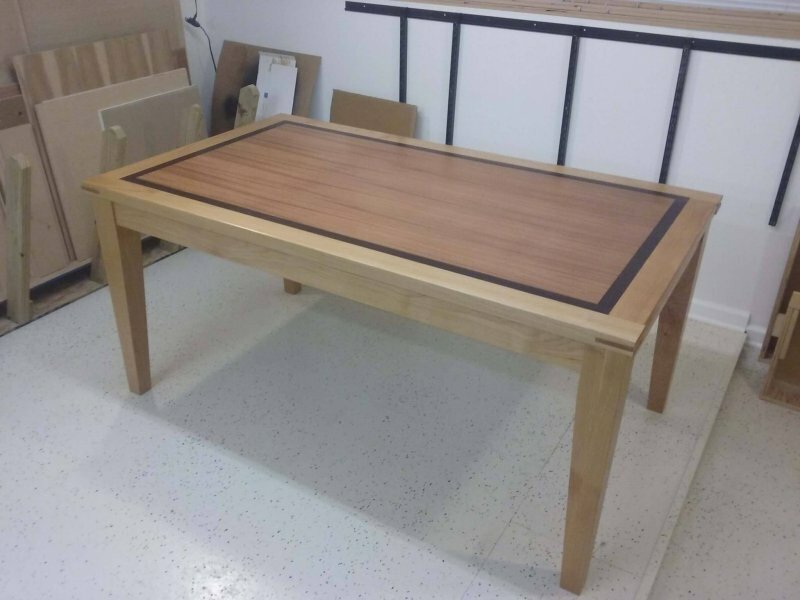 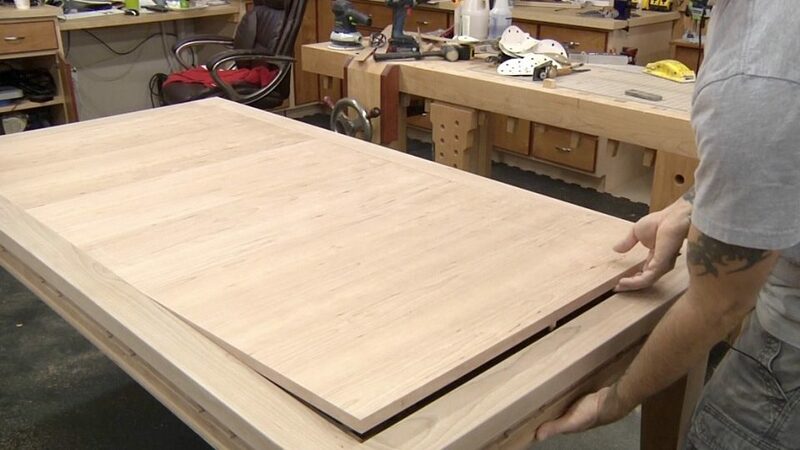 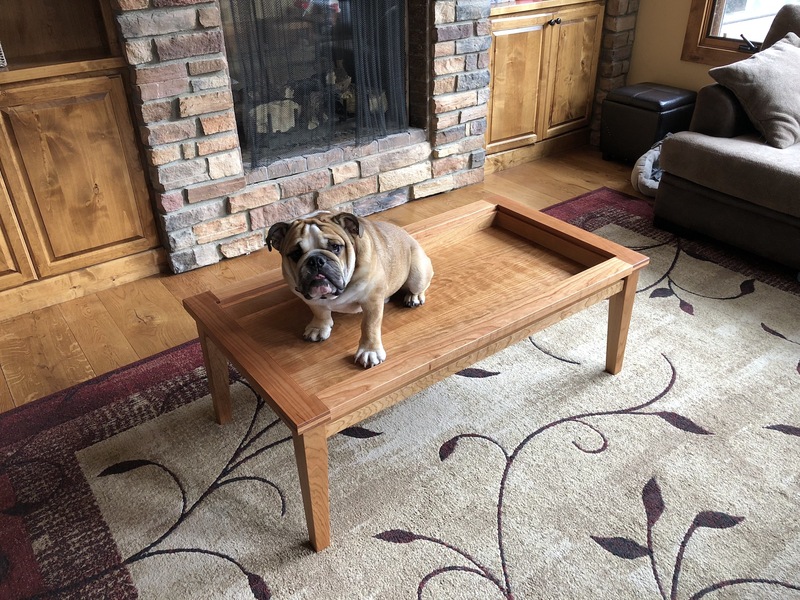 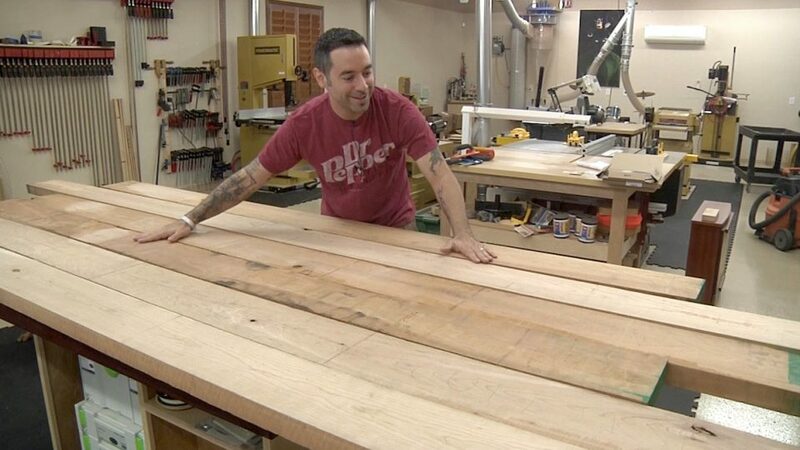 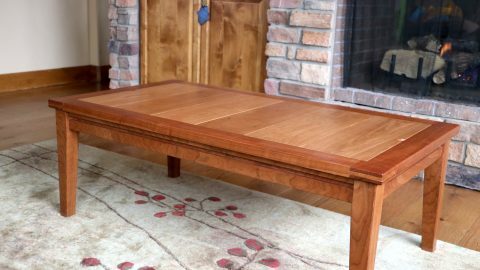 The table measures 78"L x 38" W x 31" H. Also included in this project is a special bonus video and plan for a scaled-down version of the table we call the Gaming Coffee Table, which measures 48 3/4”L x 26”W x 17 1/8”H. 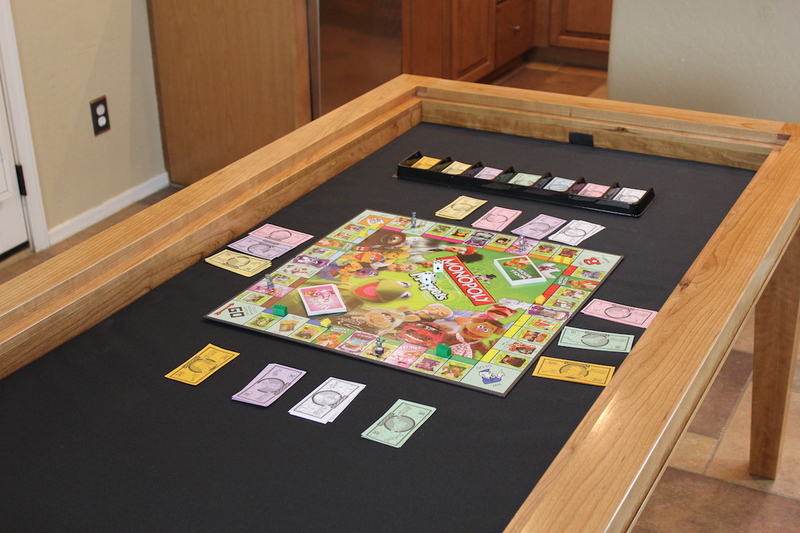 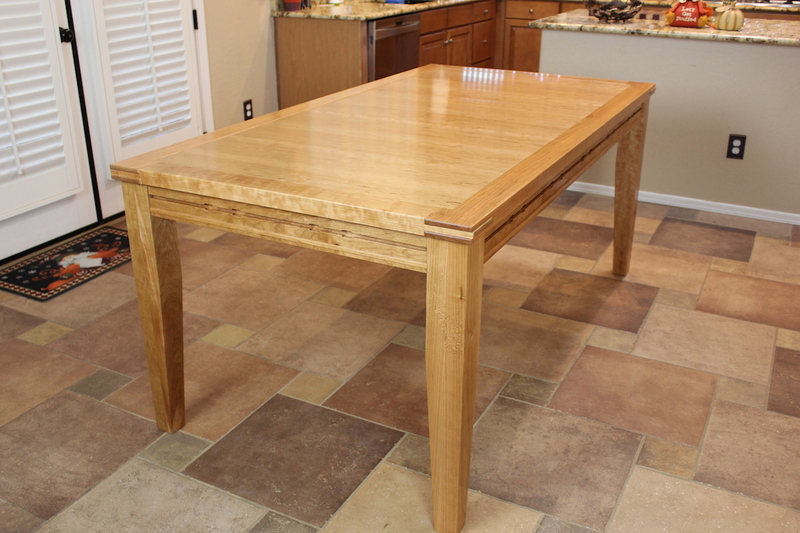 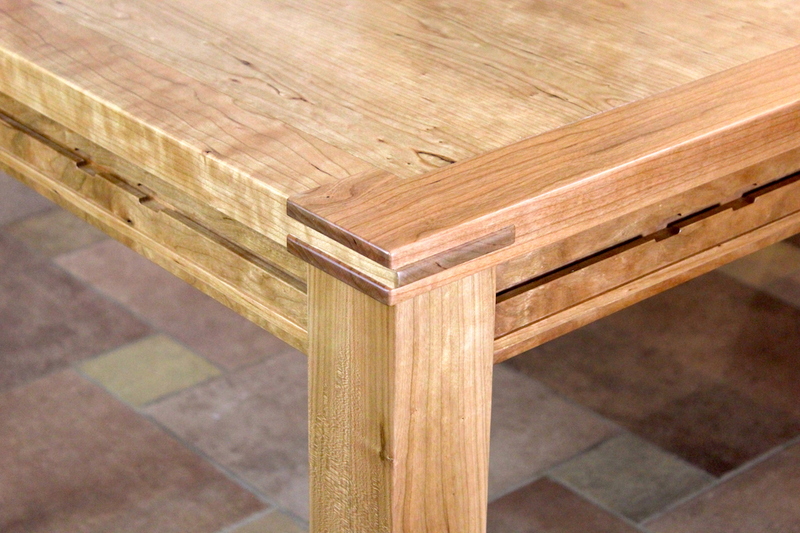 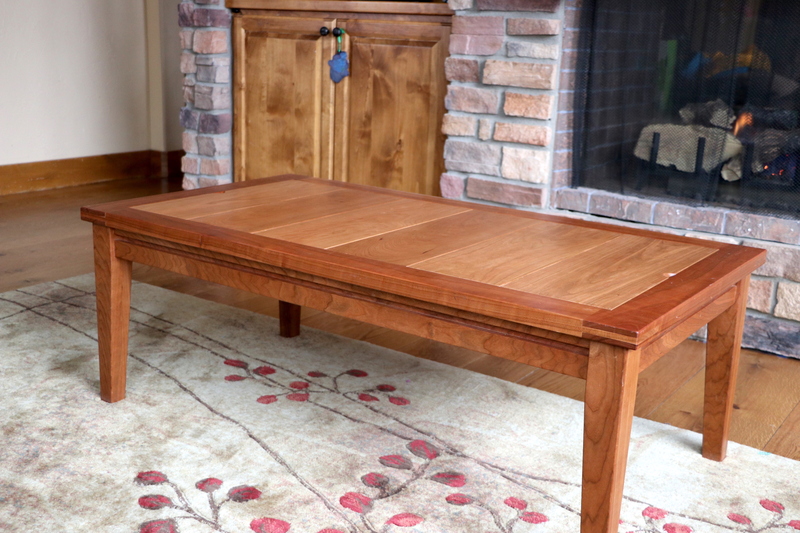 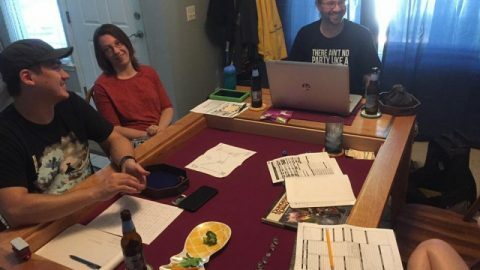 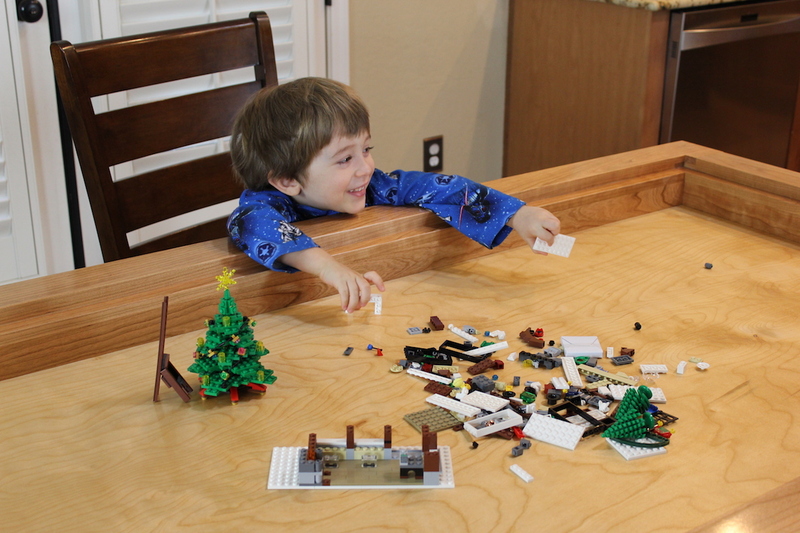 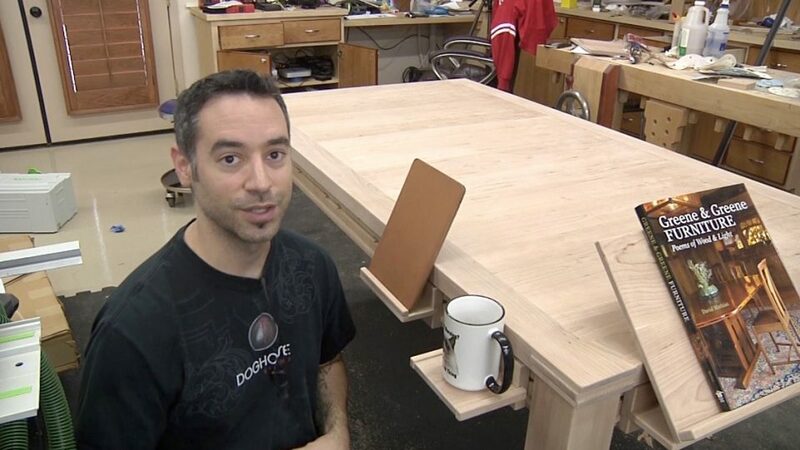 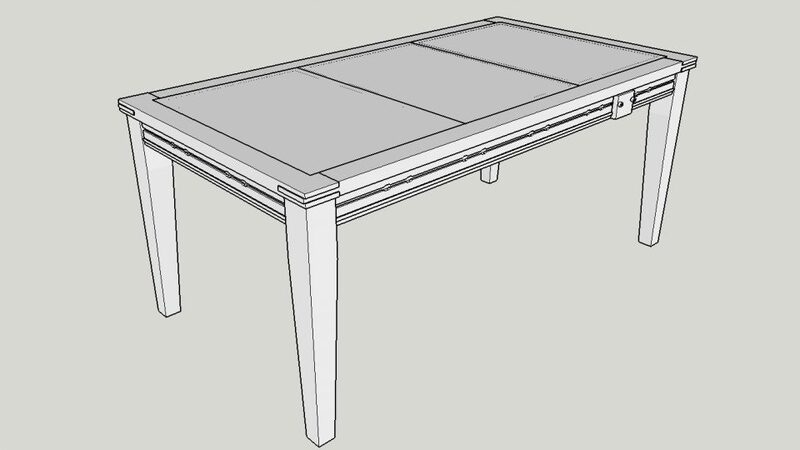 A special bonus plan for a scaled-down version of the table we call the Gaming Coffee Table. 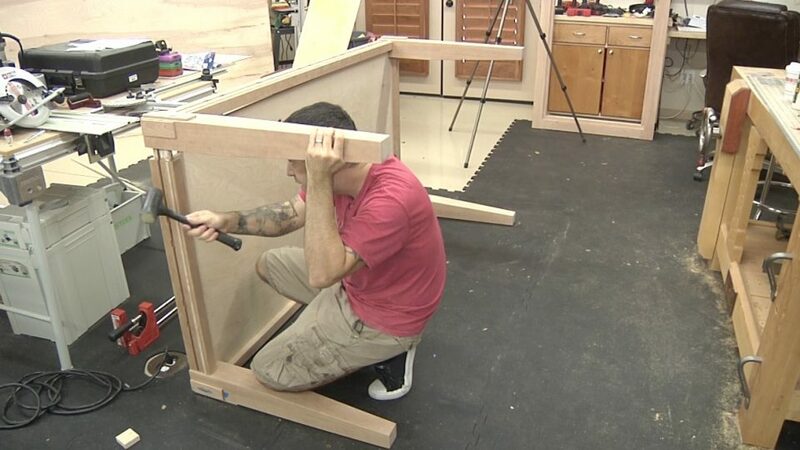 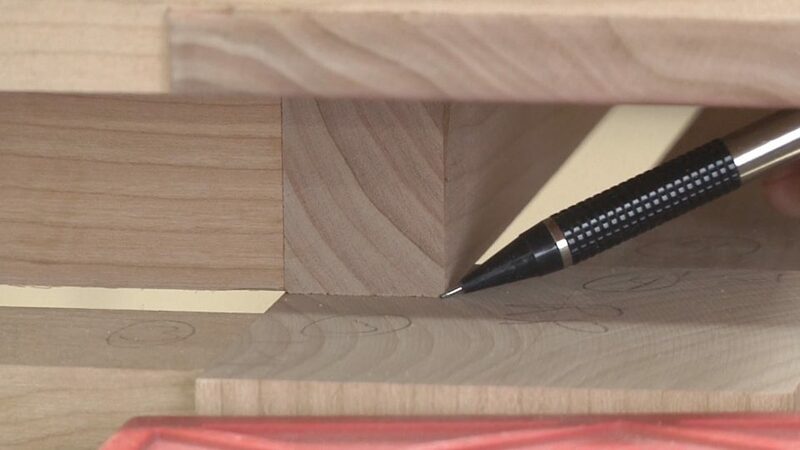 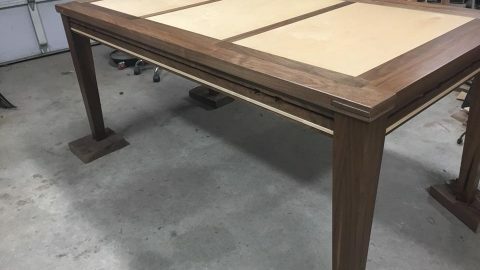 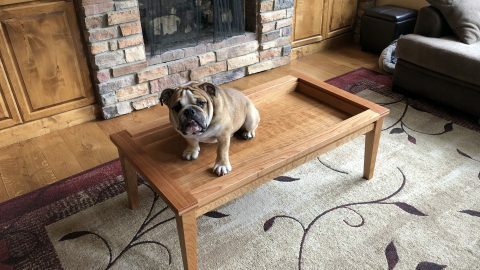 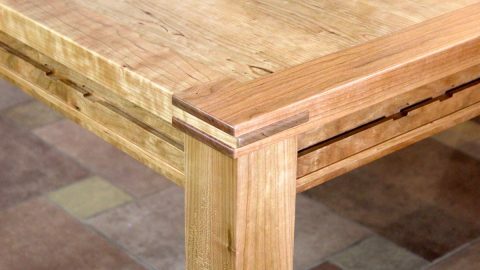 Hours of detailed video instruction (13 videos) showing every step of the build, from wood selection to finishing, plus one additional video showing highlights of the Gaming Coffee Table build. 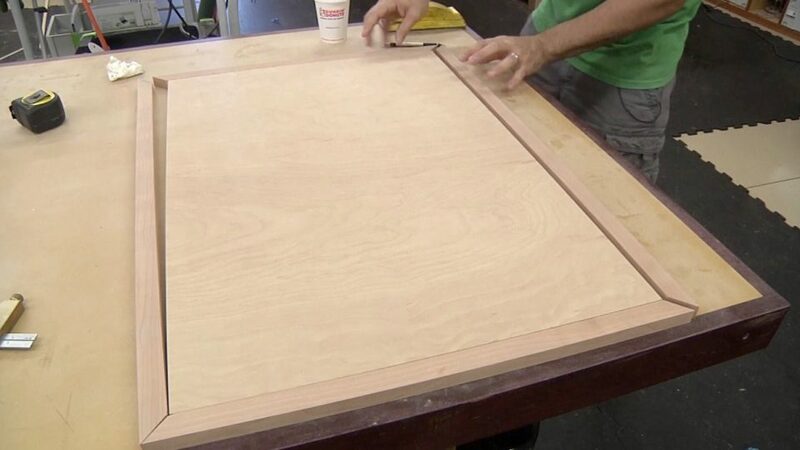 Drum Sander & Vacuum Press – The table top, as shown, is made from a plywood core and shop-made veneer. 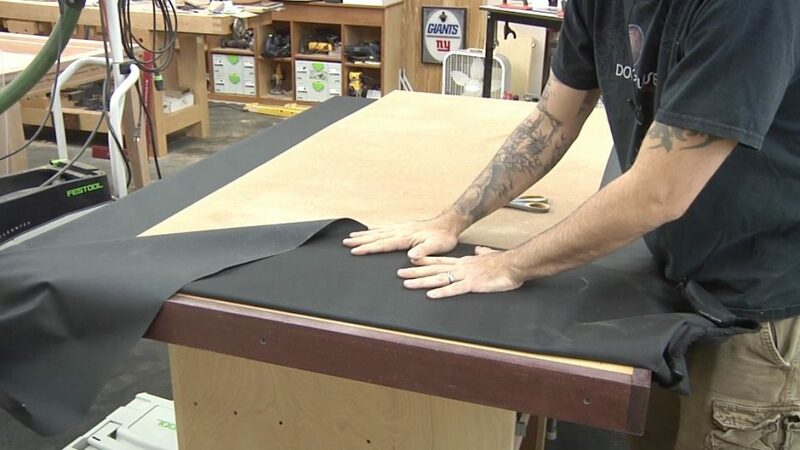 You could eliminate the need for a Drum Sander by purchasing commercial veneer. 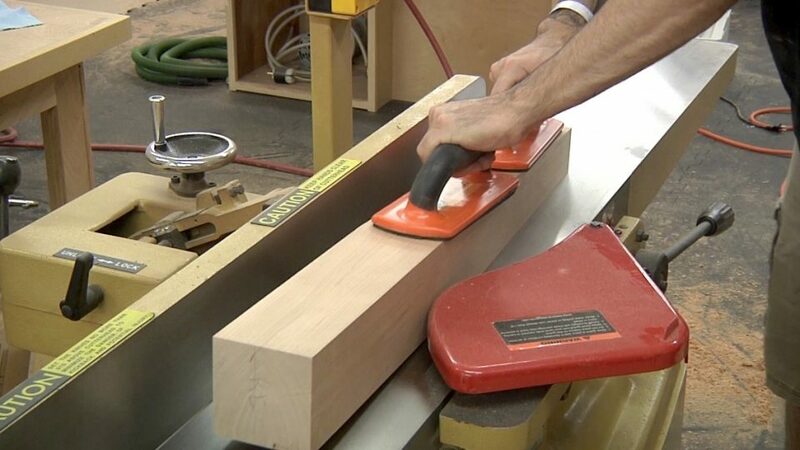 You could also eliminate the need for a Vacuum Press by constructing a shop-made veneer press. 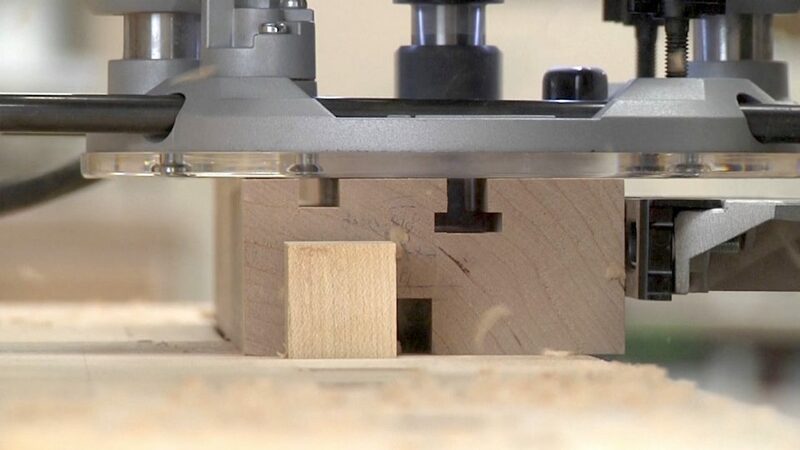 Finally, you can eliminate both the Drum Sander and Vacuum Press by simply purchasing high-quality plywood with the face veneer of your choosing. 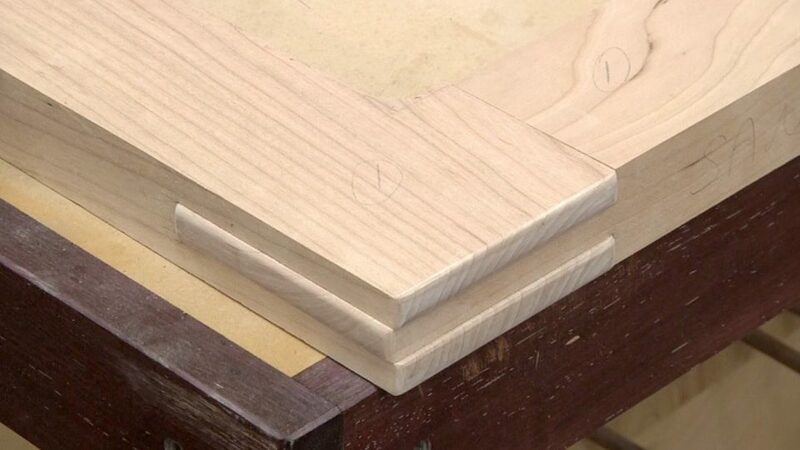 Note that you’ll need to make some minor changes to the plan to account for a thinner top.